This movie is called Hitchcock, but it’s really more about Alfred Hitchcock’s wife, Alma Reville, and their relationship during the filming of Psycho. Alma was an unsung hero in Hitchcock’s work, showing up to rewrite scenes and talk him off creative ledges. According to this movie, Psycho was lifeless until Alma recut it and whipped it into shape. Hitchcock fans will appreciate seeing him portrayed as a husband and not the nasty pervert he was in HBO’s movie The Girl. He’s still pervy mind you, just not as creepy. There’s plenty of talk about Anthony Hopkins getting a Best Actor nomination, but I feel Helen Mirren is more deserving. Her Alma feels real whereas Hopkins’ Hitch is more of a caricature. Big assumptions are made about Hitchcock’s thought process and we never really learn more about the man or his inspirations. This makes Hitchcock feel a bit like a burger without a bun and that’s why I’m giving it a C+. 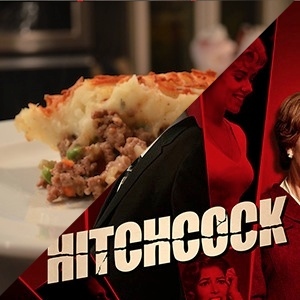 Thinking of Hitchcock immediately makes us think of how funny the end of his name is the Brits and comfort food. 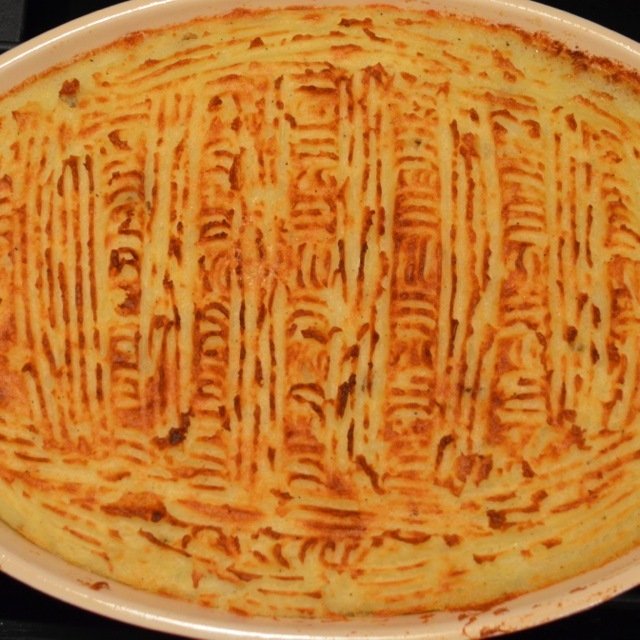 Hence, (see, not only the English know fancy words) we decided to try our take on one of the staples from across the pond: Shepherd’s Pie. 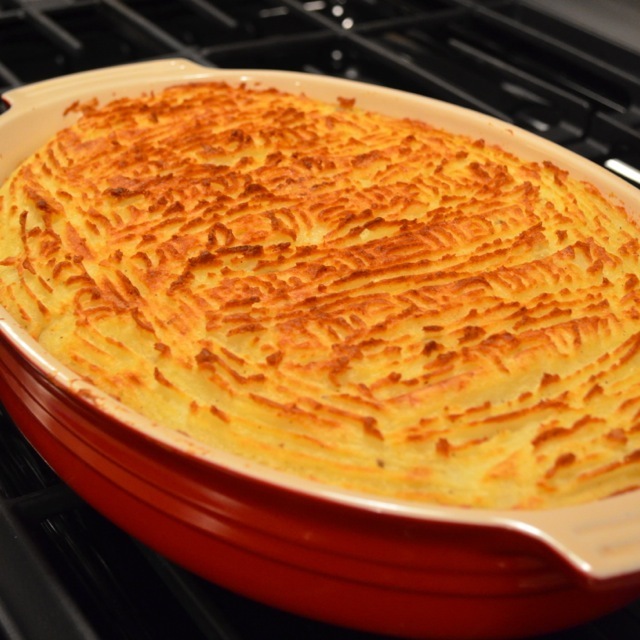 Boil potatoes in lightly salted water for 12 minutes or until they mash easily with a fork. Drain well in colander. Place potatoes back into large pot over medium heat. 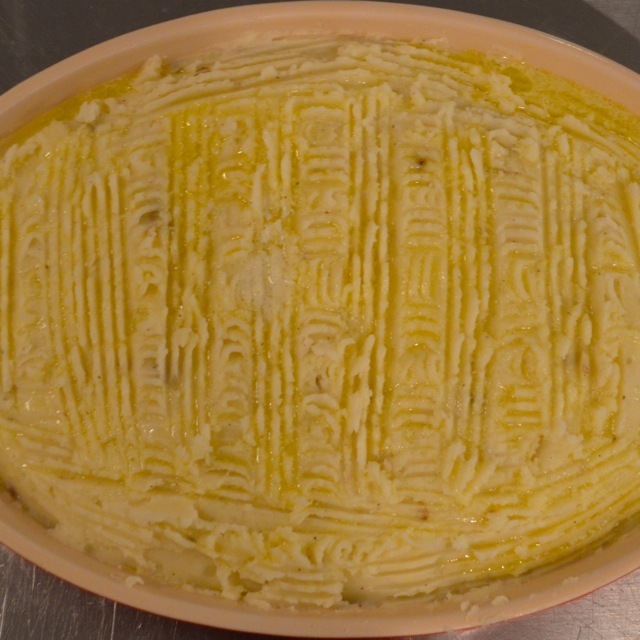 Add 8 tablespoons of butter, milk and salt and pepper to taste and mash over heat for 2-3 minutes. Remove from heat and set aside. 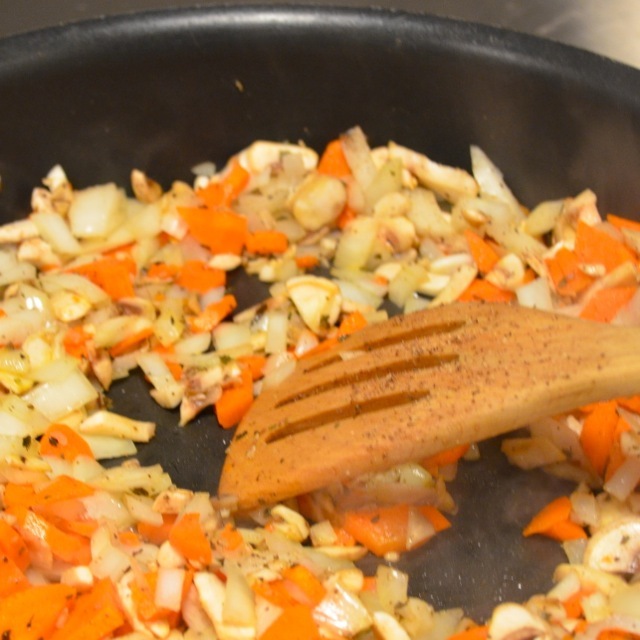 Meanwhile, heat olive oil in large skillet over medium-high heat, sauté onions, mushrooms and carrots for about 15 minutes or until carrots are starting to soften. Add lamb, beef and basil to skillet and cook meat until browned thoroughly. Season mixture with salt and pepper to taste. When meat is finished cooking, leave skillet over heat and add flour and stir well to combine and cook for another 2 minutes. Next, add broth, stirring to create a thick, gravy consistency to the meat mixture. 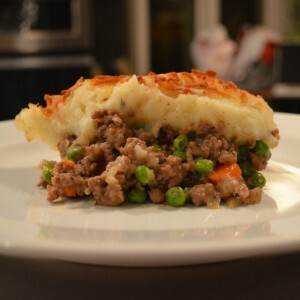 Add peas and cook for another minute or so then pour into a greased 13×9 baking dish. 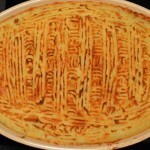 Top meat with enough potatoes to create a one inch “crust”. Be sure to seal the potatoes to the edges of the pan to eliminate the meat bubbling up on the sides. Crisscross the potatoes with a fork and melt remaining 2 tablespoons of butter and drizzle over top. 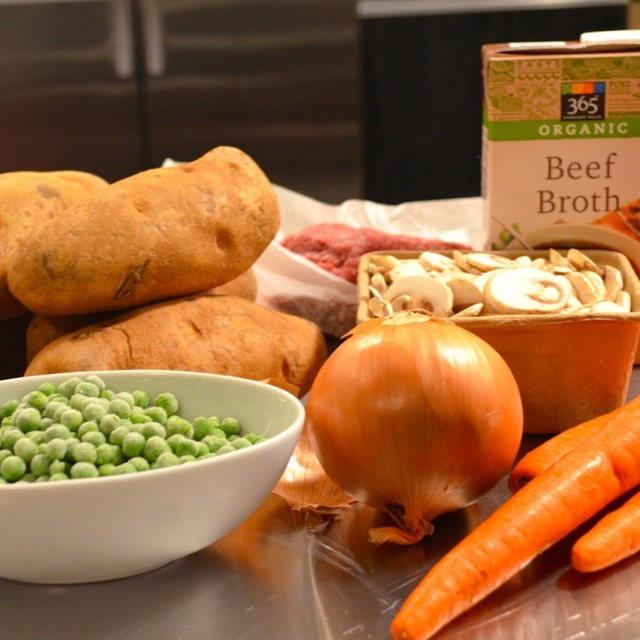 Place in preheated oven for 25-30 minutes uncovered or until pie begins to brown. Place under broiler for an additional 1-2 minutes at the end to crisp up the top. Let cool slightly before serving.